But when I open my eyes again, I’m back in the Big Smoke, facing my daily commute in stuffy tubes, manoeuvering my way through Camden tourists and trying to ignore the roaring noise of the city’s red double-decker buses. But what I miss most about France is not the sun and the air, but the cheese! 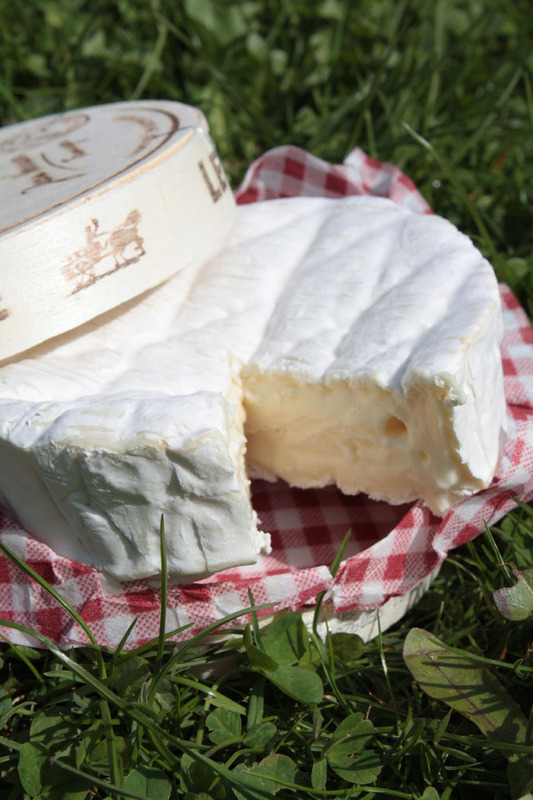 You know those nice runny cheeses that you can smell from far away and then surprise you with their gentle flavour… Those round little goats cheeses and melting Camemberts and, oh, those Vacherins in their wooden boxes that just all put a smile on my face… *sigh* I miss French cheese! However, last weekend something magical happened! 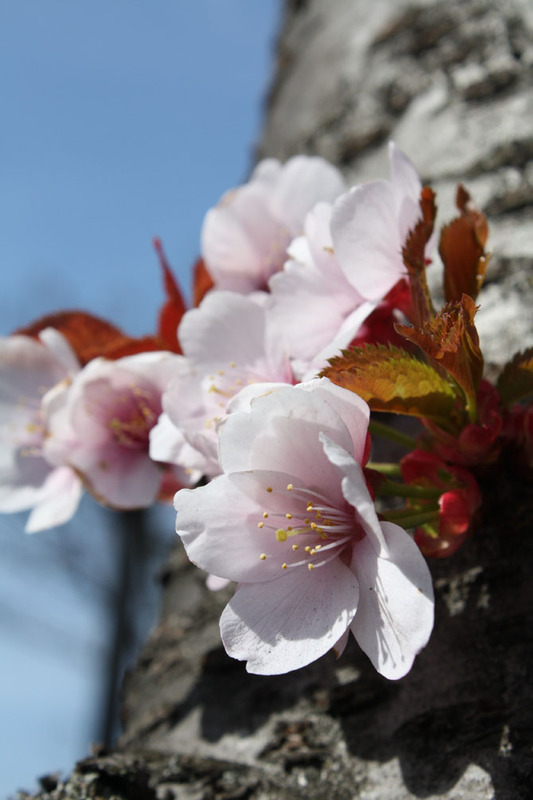 When I opened my eyes one morning, spring had arrived! 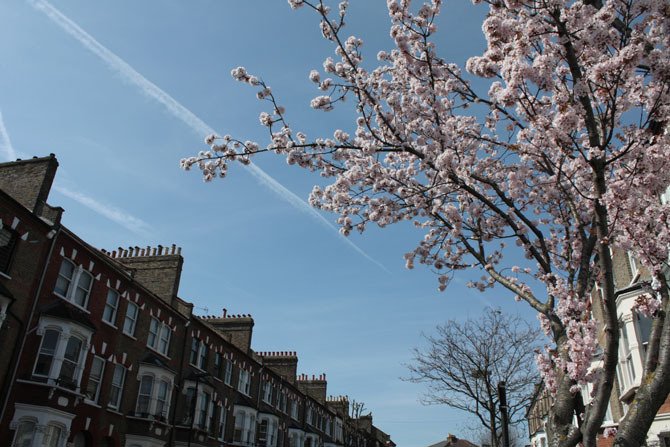 Spring, oh spring, with its magical ability to transform a grey and moody city into a colourful and friendly place. 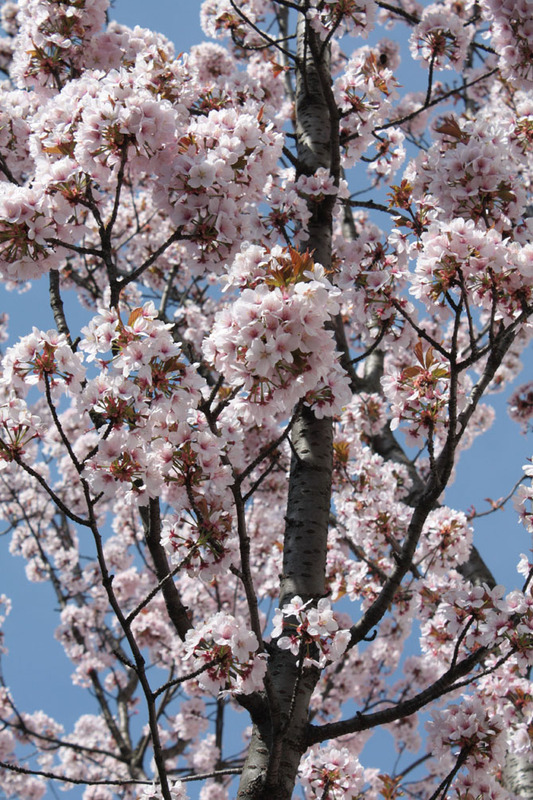 Suddenly everything has a certain lightness to it, people are crowding the pavements outside pubs with laughter and beer-smell, children invade far-too-long-unused playgrounds and the streets are dotted with pastel-coloured blossoming tress. With a feeling of inspiration I decide to make something to welcome spring in my stomach, something that you could take along to a picnic in the park. And, the key ingredient of my creation shall be a French cheese! Walking through the cheese aisle at my local supermarket, all I have eyes for is authentic fromage. Not the “French-style” stuff they produce over here (an insult to all French cheesemakers!) I’m looking for the real stuff. And, hurrah, I find it! Snuggled in between British and fake French cheeses is a nice, round, smelly and soft Camembert. My heart makes a little jump for joy. Another ingredient that always makes me feel like spring are broad beans. Those wonderful little pods that require a lot handling before you can eat them. You see, most people I know tell me they hate broad beans. But that’s because they’ve probably only eaten them with their skins on! (A horrible thought.) So, if you’re a broad bean hater: next time you see some broad beans at the market, go over and get them! I dare you! You will love them! Honestly! Because inside of those little pods hides a very delicate little bean. It bursts with a bright green when it pops out of its dull shell. And it’s wonderfully sweet and melts on your tongue. Yum. Broad beans go especially well with goats cheese, because their subtle flavour and slightly crunchy texture just scream for some nice contrast. I’ve decided to stir things up a bit and introduce broad beans to the delights of a ripe Camembert. They got on quite well. In fact, this little tart merged both ingredients perfectly. 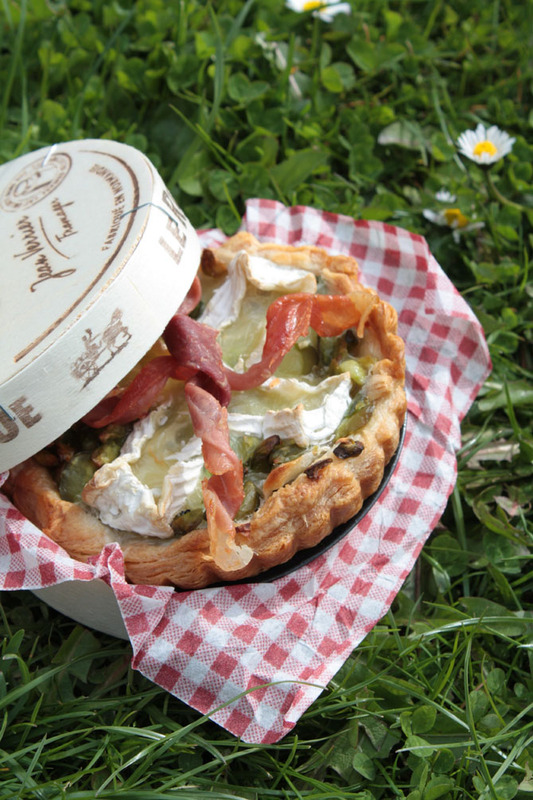 Go on, try it and see for yourself: spring is here, and damn, it definitely tastes good! 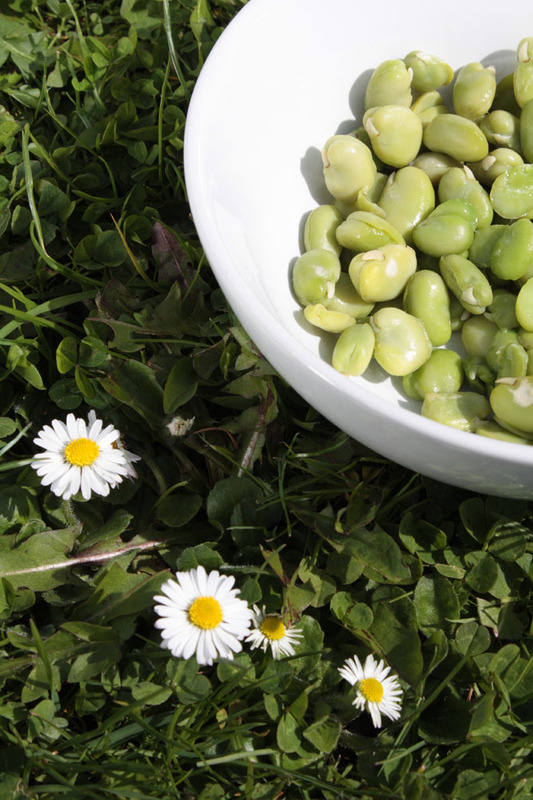 Boil the broad beans for 3 minutes, then rinse with cold water to cool them down. Shell all the broad beans and discard the shells. Roughly mash the broad beans, so that they look crushed. Finely chop a clove of garlic (or use a garlic crusher), and gently fry in a spoonful of sunflower oil for 1 minute. Add the garlic to the crushed broad beans and season with salt and pepper. Cut the puff pastry into 4 portions, and roll each one into a thin dough. Line 4 small tart cases with the puff pastry. Add 2 spoonfuls of broad beans (or as much as you need to cover the base). Cut the camembert into 16 slices and top the tarts with 4 slices in a cross shape. Bake the tarts for 30 mins until golden. Meanwhile, make the prosciutto spirals. Cut each prosciutto slice in half (so that you end with 4 long slices in total). Twist the slices and wrap them in a spiral form around the handle of a metal knife or fork (make sure your cutlery is really only metal and no plastic, since it would melt in the oven). Bake the cutlery spirals in the oven for 7 minutes until they stiffen. Whilst the cutlery is still hot, remove the spirals and let them cool down. They will keep their fun spiral shape. 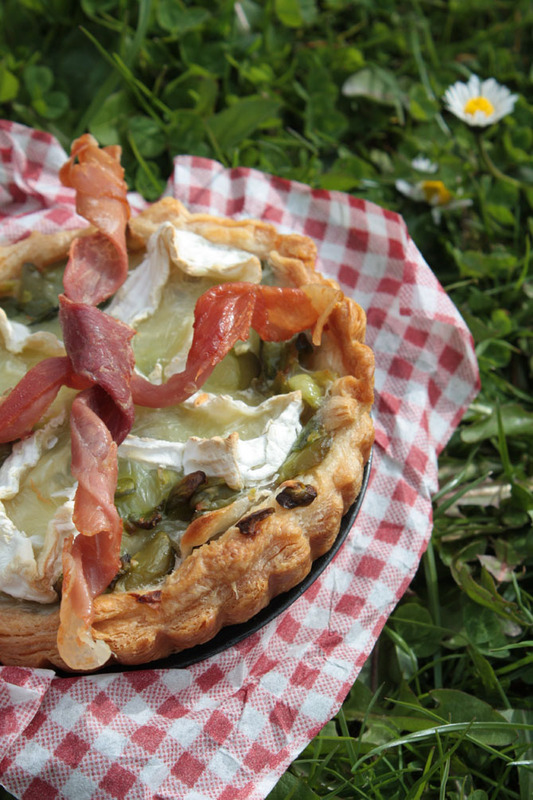 Decorate the tarts with the prosciutto and serve with a nice green salad. Schöne Tarte, um den Käse beneide ich dich. your pictures are fabulous! 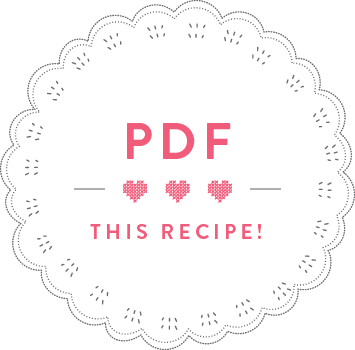 oh, and the recipe is lovely too!!! Oh, c`est manifique! 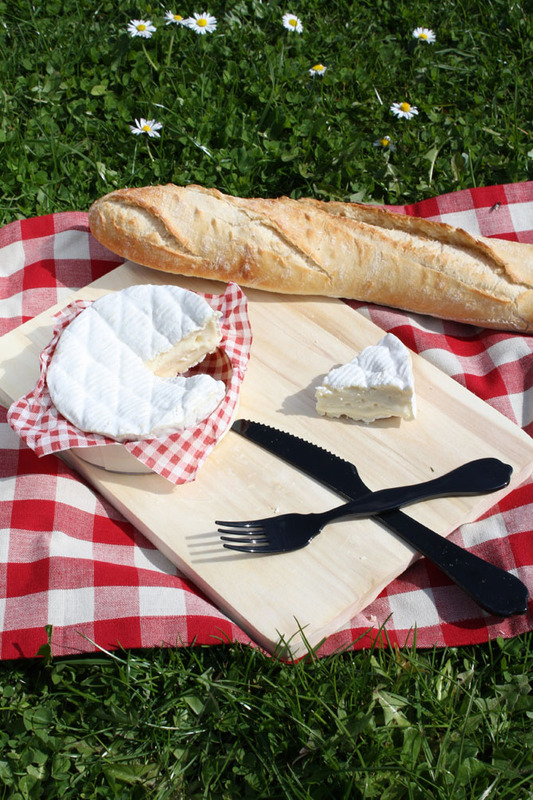 Such great pictures about my most love food: French cheese! @Tobias: ach, schönen Käse gibts doch auch in Deutschland 🙂 Einfach nur lang genug draussen stehn lassen, dann wird der schon reif! Thanks Reena, lovely to meet you too! I’ll have to make one of your curries soon!!! Yum!